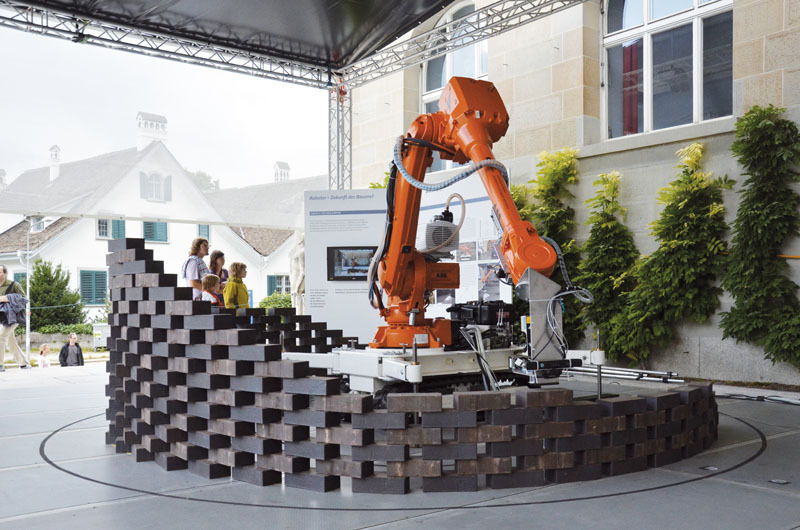 As part of Zurich's Science Days “Scientifica 2011”, the professorship Gramazio & Kohler, Architecture and Digital Fabrication is presenting their current results of the ECHORD research project dimRob – Robotics on construction site. Within this project the professorship is investigating the direct employment of industrial robots on construction sites and their impact on new potential applications in the building industry. For the Scientifica the focus is on robotic fabrication strategies in architecture. 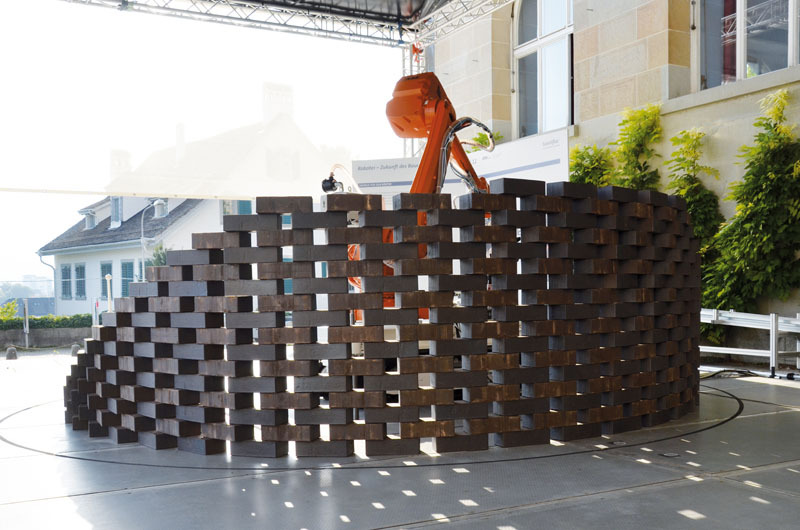 For this purpose, the project developes “cognitive” construction technics with the main objective to apply robotic-based fabrication methods on construction sites and buildings. Considering the complexity of those environments the robot must be able to recognize its own position, the surroundings and its components with regard to the material tolerances. As a result, the robotic system has to respond to construction tolerances and be able to adapt to changing conditions autonomously. 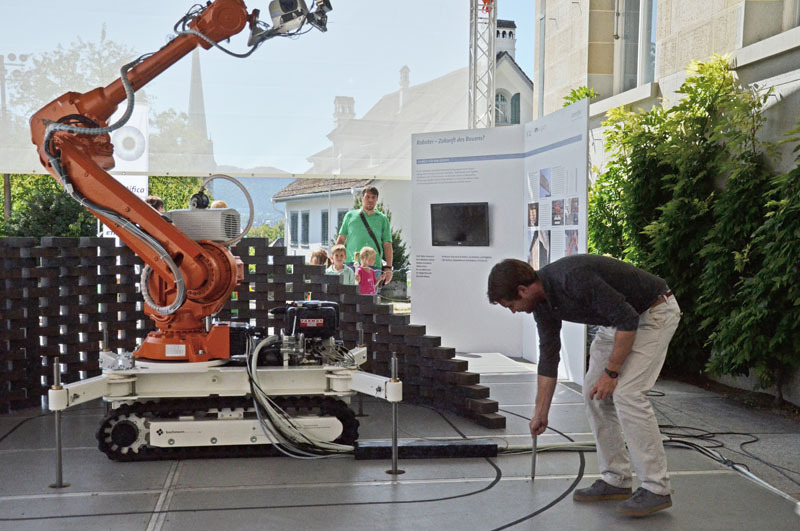 For conducting the described research as part of the dimRob project, the ETH Zurich has developed a mobile robot unit in collaboration with Bachmann Engineering AG. 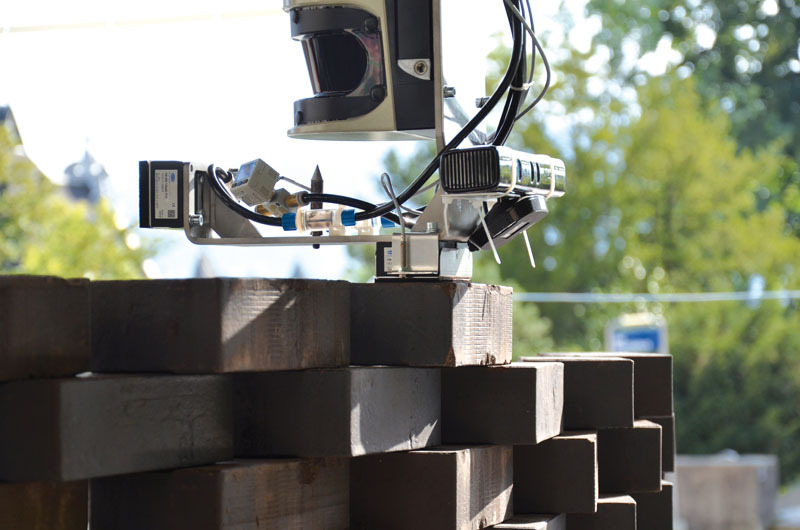 The robot unit employs an innovative scanning system which enables it to orient itself and at the same time to process the information gained of different materials and surrounding environment. 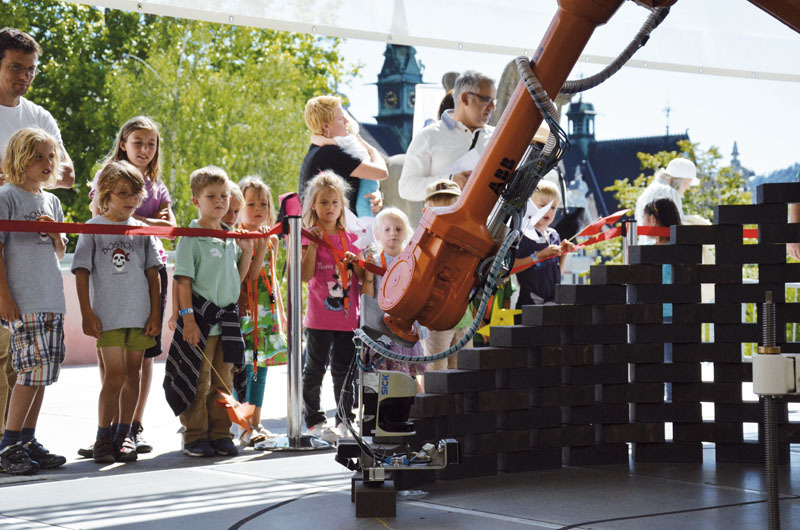 During the “Scientifica 2011” the mobile robot unit builds an architectural complex endless brick wall. The robot is controlling the results by means of its innovative scan technology and is able to react in real-time on any deviations and adaptions during the assembling process.